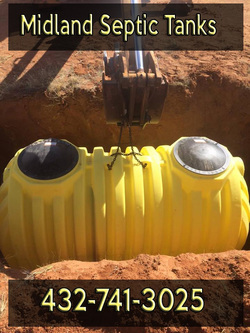 Are you in search of the best in Septic Tanks and extended services in all of Midland, Odessa, and surrounding areas? Do you want professionals that will handle all your septic system needs? Have no fear, we are here for you! Give us a call today you will be glad you did, call now at 432-741-3025. You can also fill out one of our forms on any of the pages, to contact us via email. Either way you choose, we want to hear from you! Call us today to get your no obligation estimate, from a local company you can trust. We are locally owned and operated, under the ownership of ARK Construction, a company that has taken care of all your construction needs. We promise you quality service, quality craftsmanship, and ultimately a system that will last for years to come. Don't just trust the rest, put your trust in the best. 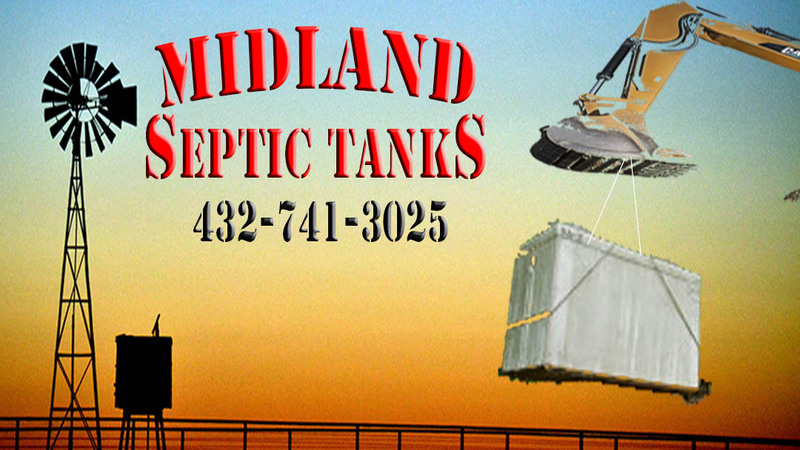 We at Ark Construction and Midland Septic Tanks proudly serve all of Midland, Odessa, Midland County, and Ector County. We look forward to handling all your septic system needs and excavation needs. Call us today you will be glad you did. Trust Midland Septic Tanks to provide you excellent service at an affordable rate. Call us today at 432-741-3025. You will be glad you did! This is the actual projects location. This may not be the residence address. Septic System Installation, Septic Tank Installation, Septic Tank Repair, Septic System Repair, Septic Design, Septic Real Estate Inspection, Consultation, Septic Tank Problems, Cost of New Septic System, Septic Tanks, Septic Tank, Septic Systems, Excavation, and Back Hoe Work.